Gretchen specializes in Elder Law, assisting clients with incapacity, Medi-Cal and long-term care planning, estate planning, conservatorships, as well as probate and trust administration. 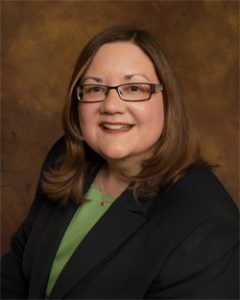 Her prior experience with probate litigation, property law, criminal defense, and civil litigation adds depth and insight into how these matters intersect with Elder Law and Estate Planning. Gretchen earned her Juris Doctor from Santa Clara University School of Law, where she Co-chaired the Public Interest & Social Justice Committee for two years. Before law school she spent 12 years as the business manager for the California Judges Association, where, among other things, she created and administered the long-term care insurance program for its member judges. Gretchen serves as Treasurer of the Peninsula Estate Planning Council and is a Board member of the Northern California Chapter of the National Academy of Elder Law Attorneys. She serves as Co-Chair of the San Mateo County Bar Association Legal Clinic Committee providing pro bono legal services to San Mateo County homeless shelters. Gretchen served on the Board of the Foster City Village when it was first formed in 2013. She belongs to the National Academy of Elder Law Attorneys, the Trusts & Estates Section of the California State Bar Association, the Peninsula Estate Planning Counsel, and the Estate Planning Section of the San Mateo County Bar Association. Born and raised in New Orleans, Gretchen attended L.S.U. in Baton Rouge, Louisiana, where she earned a bachelor’s degree in Journalism. She moved to San Francisco in 1982, but still travels “home” to New Orleans fairly regularly to visit with family and partake in the food, music and culture that is unique to that city. Gretchen spends her free time with her husband, Dan. Together they enjoy “foodie” pursuits, travel, Giants baseball, and their two cats.